Prior to the introduction of The Human Rights Act, there were many organisations promoting Human Rights and Voluntary organisations have been at the forefront of this fight for decades. It would be virtually impossible to profile each one and it is not the purpose of this site to recommend any one particular service. This simple principle could be safely assumed to be the bedrock of all human rights organisations; nationally or globally. Their aim is clear, to work towards a world where every member of the human family is treated with dignity and respect, but they are just focusing on the UK Government, talking to policy-makers and working with Political parties to bring forward plans to ensure that human rights breaches are a rarity. Since 1934, Liberty (then called the National Council for Civil Liberties) has been working towards the construction and protection of Civil Liberties; they have campaigned tirelessly to protect basic rights and freedoms through the courts, in Parliament and in the UK community. They have undertaken test-case litigation, provision of free advice and the lobbying of our Parliamentary leaders, all on our behalf. Their mission statement is: ‘Liberty seeks to protect civil liberties and promote human rights for everyone.’ This is brief and to the point, but the emphasis needs to be made that for nearly a century they have been the voluntary conscience of this country, emphasising principles over political spin. As I said before, it would be impossible to go through all of the voluntary human rights organisations, not to mention the organisations that fight tirelessly for the rights of workers, the sick, the homeless and every other person who needs assistance. I have not selected the three mentioned above for any particular reason, I certainly have no political axe to grind. 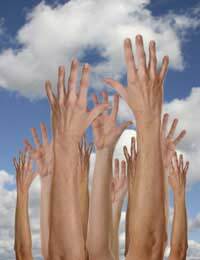 Do We Need Voluntary Organisations? The answer to that is a resounding, yes! Were it not for the work of the voluntary organisations, in this country and abroad, political policy and legal change could be almost non-existent. They are the voice of the nation when the people have been silenced by apathy. Were it not for volunteers and their tireless work, I tend to think that we would be living in a society that was almost Victorian; progress would be down to the upper classes and those with the most to lose from change. Many people see voluntary organisations and charities as just more people with the begging bowl, but if they were not in existence, and if they hadn’t fought for the rights and conditions we have now, just what would our lives be like?